FiberCube XL Open Laser Engraving Systems offer the benefits of a Direct Metal Marking, non-contact, abrasion-resistant, permanent laser marking onto almost any type of material. High-speed, high precision, micro-marking, engraving and cutting FiberCube systems are ideal for a wide range of industries and integration applications. 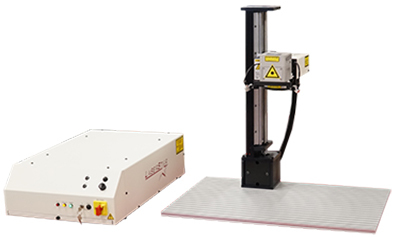 * FiberCube XL Open Laser Engraving System is available with optional Linear Axis (not shown).